Terry Laszlo-Gopadze is a compelling storyteller, award-winning author, and psychotherapist. Her passion is offering workshops on storytelling, creating your destiny, and finding gifts in challenges. She brings humor, courage and compassion to her listeners, as she inspires them to create their own stories and to live their most meaningful dreams. 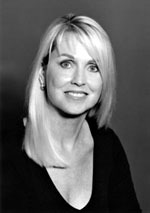 Terry also serves as a coach and consultant for authors, storytellers and public speakers.